Why Should You Apply For An Online Payday Loan? Most people need a personal loan at some point – or put themselves through a period of stress, anxiety and expense that wouldn’t be necessary if they sought one out. There are a multitude of things that can happen between paydays, many of which would be made much easier to cope with – or make disappear - if you had extra cash. Anything from an emergency car repair to a plane ticket home to attend a last-minute wedding can be made possible with an online payday loan, faster and easier than any other option. Traditional bank loans take too long, and require jumping through too many hoops. Getting a second job is definitely the slow road, and pawning or selling unused belongings can only be done once. 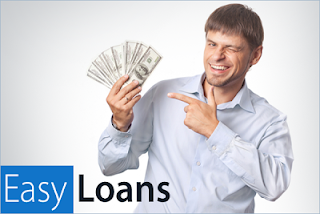 Short-term payday loans are a dependable, flexible solution you can rely on to be there when you need them. 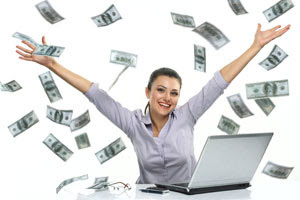 Online Payday Loans Made Easy! 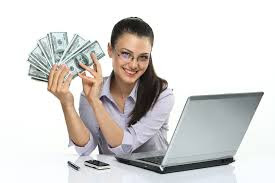 Online Payday loans get rave reviews from users, and the aspect they like the most is how simple the website is to navigate, and how quick and convenient the process is. Simplicity is the name of the game, and that’s perfect if you’re dealing with some sort of personal crisis. If you’re missing time from work because your car broke down, or if you or a loved one is sick or injured, you’re dealing with massive personal stress already. The last thing you need is for money to make life even more difficult at this moment, or even to spend a minute more than necessary thinking about it. Online payday loans take just minutes to apply and receive approval, so you can go back to focusing on what’s most important. What’s more, most loans are funded that same day, and available in your bank account in just one business day, so you’ll have cash in hand as quickly as possible to take care of yourself and your family’s needs. Ever wished there was a secret formula for getting approved for a loan? There may not be any guarantees, but here are a few tips that could greatly improve your odds! First of all, make sure your information is correct and complete! Switching two numbers around on your social security or driver’s license number will throw a giant monkey wrench in your plans to get that extra cash you need. Include accurate contact information for your current employer. Leaving out the phone number or supervisor’s name will not work in your favor when the application is being reviewed. Finally, make sure your monthly earnings are enough to support the amount you have asked to borrow. If you earn less than $1000 per month you will not qualify for an online payday loan, so take stock of your sources of income and include more than just your one main job, if that’s how your current circumstances come together to make your life work right now! It’s nobody’s business why you need extra money. Other than our medical history and romantic adventures (and for some people not even those!) there’s little that we hold to be more personal than our financial details. Yet when we want or need to borrow money, one of the first things we’re asked is what it’s for. Perhaps that makes sense for some secured loans – the lender needs to know that if you should default, the collateral they will receive in compensation has a comparable value to the balance of the loan. But for personal loans, there’s no reason anyone needs to know what you plan to do with the funds. Rather than putting yourself through an interview where you’re asked unnecessary questions – you can get easy personal loans online, with no intrusive questions asked, and a remarkably quick and simple application procedure that requests much less information overall than other loan approval processes. All sorts of banking and financial processes have changed drastically over the past twenty years or so. Back when the internet was young, the idea of conducting private financial transactions online would have sounded like science fiction - but that day is here, and has been for quite some time. Nearly all of us check our bank balances and pay bills online – isn’t applying for easy personal loans online the next logical step? Even banks and credit unions are starting to put their applications on their websites, although those often have to be printed and filled out, or filled out first and then printed, to be brought into the branch to speak with a loan officer. The advantages are many – first, the traditional limits as to when and where the application can be completed and evaluated disappear. Lenders can be available at any hour of the day and night, so whenever it’s convenient for you to apply, someone is there to process the request, approve it, and start the process of sending the funds to your bank account. Late fees are bad for your checking account and bad for your credit. Nobody enjoys paying bills late – in fact, avoiding doing so is a good reason many people take out short term payday loans in the first place. When you accept the terms for an easy personal loan online, repayment dates and amounts are part of the contract. To make things super-simple the payments are scheduled to be drafted directly from the same account the original loan funds are deposited into, so you don’t have to remember to make the payment. No late fees, no need to even set up the payment through your online banking system. It all happens automatically. Just as an extra bit of insurance against fees, the payments are scheduled for days you get paid – that way you can be confident that there will be funds in the account on that day and no overdraft fees will be incurred. Not just easy and fast, but as hassle-free as possible – what more could you ask for? 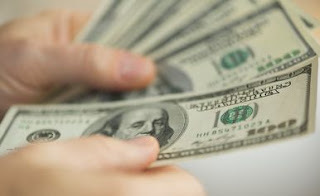 When you need cash in a hurry, there is no faster way to get it than with Texas 1 hour loans from DallasTexasPaydayLoans.com. Whether you live in Texas or not, you can visit our site, apply for a loan, get approved, and get cash within one hour. Whether you need a couple hundred dollars extra to stretch your paycheck through the end of the month, you need to bail a friend out of trouble in a hurry, or you have an unexpected bill that has to be paid immediately, Texas 1 hour loans are here to help. We all do our best to be prepared, but sometimes the worst case scenario happens and we need a large sum of cash that we don’t have in savings, and we need it as quickly as possible. More importantly, we need a repayment schedule that won’t disable our ability to pay our monthly bills, buy groceries, and cover other ordinary expenses. If you’re faced with an expensive car repair, a home appliance or repair that can’t wait, or a medical emergency that’s drained your bank accounts, you can get installment loans online for up to $1,000 and have cash waiting in your bank account the very next day. You don’t need a great credit score, the application is quick and simple to submit, and there’s no requirement that you scan and upload any prior year tax returns or other financial statements. The process is intentionally made as accessible as possible, since those who have the most need of emergency cash are often the ones who have the most trouble getting it. Even if you’re good at budgeting, and especially if you’re not, it can take a long time to recover from a financial mishap like an overdrawn account or short paycheck that throws your plan off course. If you are living paycheck to paycheck and find yourself needing to replace tires on the car or fix the refrigerator, the first problem is getting the cash – but the second one is repaying the cash! 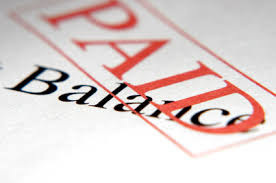 Most easy-access loans require repayment from your next paycheck or two, and charge high fees for extending the term. 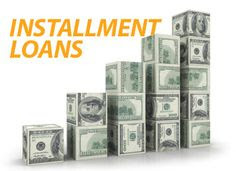 The greatest advantage of getting an installment loan online, other than the speed and simplicity of it, is that you can extend the payments out longer than a typical payday loan, arranging them to suit your income pattern so as not to put undue stress on your budget – while still maintaining a strong on-time payment record and keeping up with your other obligations. Our credit report didn’t used to be quite such a significant part of our identity, but now we even have television commercials for credit tracking services joking about people tattooing their credit score right on their body! If you’re someone whose credit has been damaged, and you’ve been turned down for loans or credit cards, you may have resigned yourself to living without any until you manage to rebuild your score. That doesn’t have to be the case, however – the application process for installment loans online does not include a traditional credit check, allowing almost anyone to qualify as long as they meet the other basic criteria. The application is fast and simple, with no credit references or financial documents required. Approval is fast too – you’ll have an answer in two minutes or less, be provided with documents outlining the terms and payment agreement, and then cash in your bank account in just one business day! Sometimes when you need extra money, you need it right now. Other than having bundles of cash stashed under your mattress, could anything be faster than getting a loan in one hour? What if there’s a family emergency, and you need to buy a plane ticket immediately? Or your car breaks down and you need to get it fixed today, since you can’t get to work tomorrow without it? Those types of things don’t happen every day – thank heavens! – but when they do, it’s it a relief to know you can count on Green Leaf One Hour Loans to be there for you? Have you ever gone into a bank, or sat down with the credit manager of a car dealership or department store, and watched the face of the person on the other side of the desk? Have you wondered what they were thinking, and more importantly what they were thinking about you? Especially after they ran a credit report and looked through that? We can’t all have excellent credit, and it doesn’t make us bad people or untrustworthy. It doesn’t even mean we can’t or won’t pay back a loan! All it means is we had some financial trouble in the past- and nobody likes to be judged by their past, instead of who they are today. Green Leaf One Hour Loans understands that, and bases their approvals solely on your current circumstances and your ability to repay based on your level of steady income. 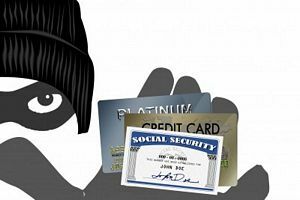 If you know anyone who’s had their online passwords stolen, or been the victim of credit card or identity theft, you know how important it is to be careful online – and what can happen if you’re not. Supplying really personal information such as your social security number and your bank account number into an online form might seem especially hazardous, but applying for a Green Leaf One Hour Loan is as safe as it’s possible to make it. Your data is transferred in an encrypted state, to ensure it’s unreadable by anyone other than the intended recipient. That makes it safer than applying for a credit card through the mail! Did you ever imagine you could get a loan while sitting in an auto mechanic’s waiting room? Or at home, in your pajamas, while drinking your morning coffee? 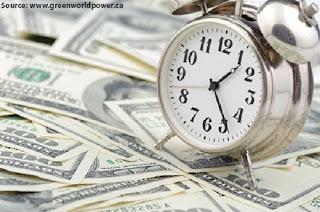 Besides the speed, the best thing about Green Leaf One Hour Loans is the ease and simplicity. The entire process is completed online; not only can you apply from your home or work computer, but even a tablet – or if you’re not at home, your smartphone! There are only a few questions, and approvals are received in a mere ninety seconds! Our network of direct lenders is available 24 hours a day, and during business hours you can have funds in your bank account within one hour to spend on whatever you need! Go directly to the application and apply today for Green Leaf One Hour Loans today.